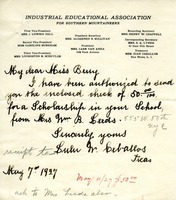 Howard B. Tuttle's secretary, Herman Noble, sends a check for $200 to the Mount Berry Schools. 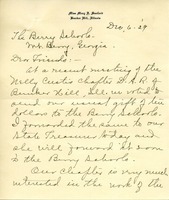 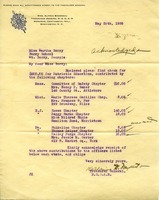 A letter with the list of DAR chapters and the amounts they donated to the Berry Schools. 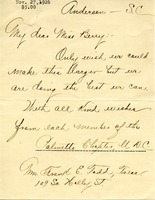 On behalf of The Palmetto Chapter of the Daughters of the American Revolution, Mrs. Todd, treasurer, writes with a donation check of $5 to the Berry Schools, stating that she wishes it could be more, but they're doing the best they can.